So, a few months back I was starting to make and review enough drinks for another blended cocktails week, but things got in the way and I ended up with only a couple daiquiris and a bunch of banana drinks (banana cocktail coming next post). 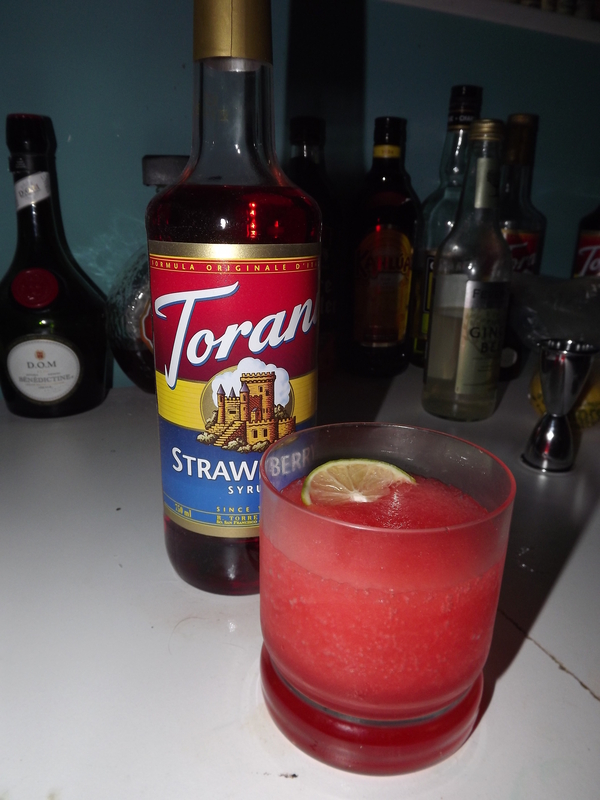 Around that same time I also picked up a number of the Torani flavor syrups to supplement flavors in the bar. Among the few I got 2 of them created very unique and interesting variations on the traditional frozen Daiquiri. For these recipes I used the traditional Daiquiri recipe, but replaced the simple syrup with one of the Tornai Syrups, and of course blended with a handful of ice. Taste Profile: Equal parts sweet and sour. Tastes like concentrated springtime! Taste Profile: Strong candy flavor. Sweeter than what you’d expect from a Sour Apple Pucker. Tangy and sour. 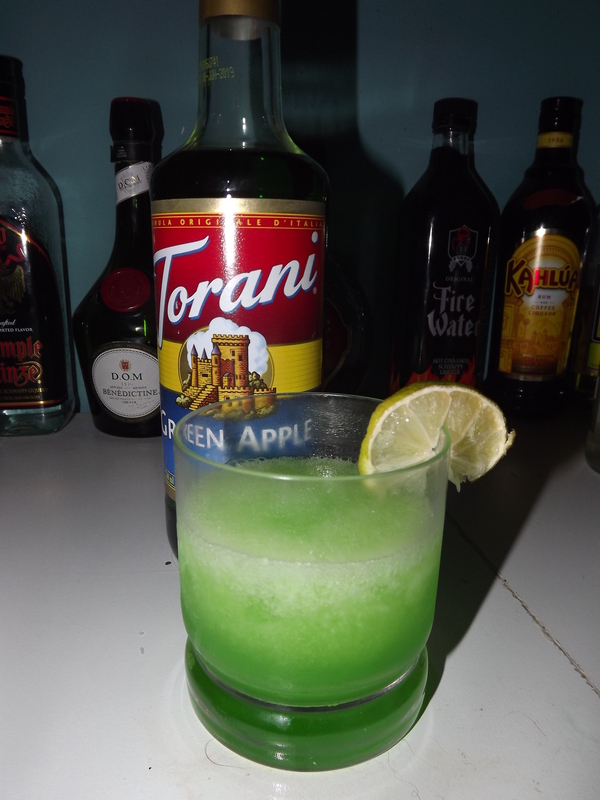 This entry was posted in Uncategorized and tagged blended drink, green apple syrup, light rum, lime juice, simple syrup, strawberry flavor syrup, torani syrups by byocks. Bookmark the permalink.